Welcome to our MASSIVE depository of senior discounts! Everyone loves a good deal. If you’re a senior, now you can reap the benefits that so many companies offer you. We’ve searched far and wide to include every single discount we could find in 2019. They’re all here waiting for you to take advantage of them and save loads of money on a large variety of products and services. Our goal is to become your ultimate go-to source for senior citizen discounts. If you’d like to help, we’d appreciate your feedback. So let us know in the comments section below if any of the listed discounts aren’t active anymore. Are there any discounts you’ve discovered that we haven’t listed yet? Tell us about them. Let’s keep each other up to date! 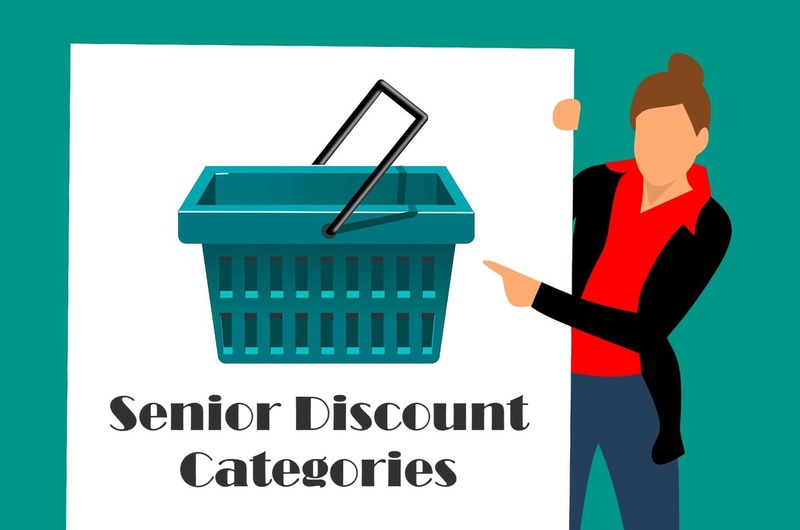 In addition, we’ve included a quick guide explaining different types of discounts for seniors, as well as the exclusions and terms that may apply. Take a look at it if you have any concerns. Enjoy your discounts and happy saving! We’ve divided the discounts into logical groups, and we hope you won’t have trouble finding the ones you’re looking for. However, since there are so many of them, you may want to use the search function on your browser. Looking for something specific? What discounts do you get with AARP? Just scroll down to discover discounts for AARP members in various categories—you’ll find over 40 of them! You can also find discounts that are only valid over a certain age. For instance, you can search discounts for people over the age of 55. Which restaurants give senior discounts? Lots of them! Take a look at the long list of restaurants and fast food joints that offer discounts for seniors. We’ve verified most of them, though some are still pending verification. Also, note that some have specific age and membership requirements. There are also some senior discounts restaurants and franchises offer as a reward for customer loyalty. Take a look at them and their terms below. Next, we have a list of discounts for the items we need the most in our daily lives—groceries. Typically, grocery stores offer discounts for seniors only on certain days of the week. Which grocery stores have senior discounts? Find out on the following list. Is your favorite place on it? We’ve covered grocery stores; next, we come to retail store discounts. But which retail stores offer discounts for seniors? Not a lot of them, actually. Much like grocery stores, discounts at retail stores are mostly offered on a specified day. Take, for instance, Kohl’s senior discount day—they offer a discount every Wednesday for people over the age of 60. Other stores offer them every day, while some just once a month. This important section includes prescription medicine, hospitals, vision, and dental discounts. All these things can cost a great deal, so make sure to take advantage of all the discounts you can get. Most seniors have at least one medical concern for which they regularly take prescription medication. The following discounts can help you save substantial amounts of money. Just look at that 61% AARP member discount, or that incredible Costco discount of up to 80%! What stores offer senior discounts? Take a look below and make sure to take advantage of any discounts you’re eligible for. There’s no denying that hospitals and care facilities are expensive. However, some of them offer fair discounts for senior citizens. Consider some of them if you have them near you. The need for eye exams, prescription lenses, and dental work becomes more common as we age. And they too can cost a lot. Luckily, this is another category where you can save lots of cash by using some of the following discounts. Again, most of them require an AARP membership. It’s important for seniors to keep active in order to stay healthy and independent. Motivation is the hardest part, but many also worry about the financial aspect of a gym membership. No need to worry anymore—some gyms are available completely free for seniors! You’re retired and free to do whatever you want—time to visit all those places you never had a chance to visit when you were younger! What’s more, as a senior, you can save on every aspect of traveling—from transportation to accommodation and car rentals. Start planning! For those of you who enjoy traveling, we’ve also prepared a list of the airlines and railway companies that offer discounts for seniors. What airlines offer senior discounts? There aren’t many of them, but they are major companies with nationwide and worldwide flights. Make sure to ask because they have various discounts for senior citizens. Next, you need to think about accommodations. We’ve got you covered there, too! What hotel chains offer senior discounts? Many do, and all of the discounts we found are verified. So take your pick and enjoy reduced rates. Don’t forget to ask for a discount on your next car rental. These are some of the best senior discounts for car rentals we could find. As you can see, most of them are for AARP members. Speaking of cars, seniors can also enjoy welcome discounts on car parts and labor with many auto services. Don’t hesitate to ask about the discounts, and the following shops will explain your total discounts (which can include a percentage off or a cash deductible). Check out the various sports-related discounts for seniors, including items like clothing and sports gear. Most don’t require a special senior discounts age to qualify, and many of the discounts are available with the use of a promo code. Read on to find out how you can redeem them. Occasional recreation helps keep things exciting in your retirement. Here are some fun activities you can save on with a senior recreation discount. Theaters, stadiums, circuses, amusement parks, and US national parks all offer great discounts for seniors. Why not use them and have fun while saving! Next, we’ve even found some jewelry discounts for seniors. Take a look at all the stunning pieces these companies offer and how you can save on them. When it comes to senior discounts, 2019 just keeps on giving. Who would have thought you can get a discount for senior citizens when it comes to legal advice? But it’s true, you can! There’s also a free legal assistance hotline for AARP members. It’s never too late to get back to school and get that degree you’ve always wanted. It’s also great to know that numerous higher education institutions offer stimulating programs for seniors. The following universities and colleges offer significant senior citizen discounts. Yes, we’ve even found some companies that offer storage discounts for seniors. See if you can make use of the following storage units in your area. The last category on our senior discounts list includes technology discounts. So ask your cell phone carriers, and the other companies listed here, about a senior discount. No need to pay more than you have to, right? 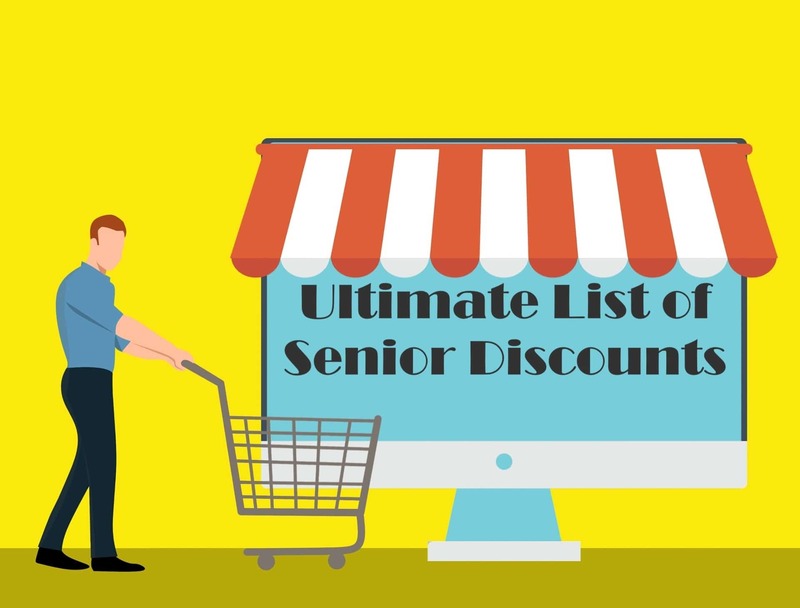 That’s it for our list of discounts for seniors. You may think some are missing. For example, people often look for a Lowes senior discount, but we haven’t found one. Again, we’d like to invite you to submit any discounts you’ve discovered. Now, what do you do with the huge selection of discounts already available? You may feel overwhelmed, so let’s discuss the different types of discounts one at the time. Register with a senior organization – For online discounts, as well as in-store discounts, you usually need to register with a senior organization like AARP to confirm your identity and your age. Also, many of the listed companies have their own senior cards you can use to shop or use their services. We highly recommend becoming an AARP member if you’re serious about discount shopping. Coupons and promo codes – Often, many companies have promo codes and coupons for senior citizens featured on their websites. A few of the medical alert system companies we’ve reviewed use them in their marketing efforts as well. You have to confirm your age to use them as well, usually through an AARP membership or by using your ID. Of course, you can also use the promo codes that are intended for the general populace, but more often than not, you won’t be able to combine promo codes. In that case, just go with the promotion that gives you a bigger discount. Unique discount codes – These discount codes for seniors will be issued to the customer only after submitting their ID. In most cases, the same code can be used all the time, or they might need to generate one every time they go shopping. This is, however, rarely the case. Senior sales – To save without promo codes, keep your eyes on the selection of sale items and services applicable for a senior discount. These too may require a membership with a senior organization. Usually, it’s easier to get a discount in physical locations. Discounts are often calculated at the register, with the submission of an ID card, or, again, an AARP membership card. You can also use some of the online coupons in stores as well. It doesn’t cost a thing to ask about a discount for seniors in any store—you’ll be surprised how often you’ll be able to get a discount you didn’t know about. When people search for senior citizen discounts, Home Depot is one of the companies they are most interested in. But a lot of huge companies still don’t offer special discounts for seniors. Almost always, for both online and brick-and-mortar discounts, you need to fulfill certain conditions. Exclusions and terms for any item or service will be listed on the site, on the price tags, or you will be notified about them at the register. Nearly every discount for seniors we’ve listed has at least one limitation—whether that be an age limit, AARP membership requirement, or what region the discount is available in. So it’s very important to visit the official websites by following the links we’ve provided to see if you’re eligible for certain discounts. That way, you’ll avoid unpleasant surprises at checkout or at the register. Hopefully, you will find more than a few useful senior discounts among the wealth of the ones we’ve featured so far. Remember, we update the discount list often, so make sure to come back for more. Once again, we welcome you to the discussion—tell us if a listed discount isn’t valid anymore, help us with verifying the ones that still aren’t verified, and submit new ones.